What a fantastic opportunity for families to enjoy all of the festivities together! 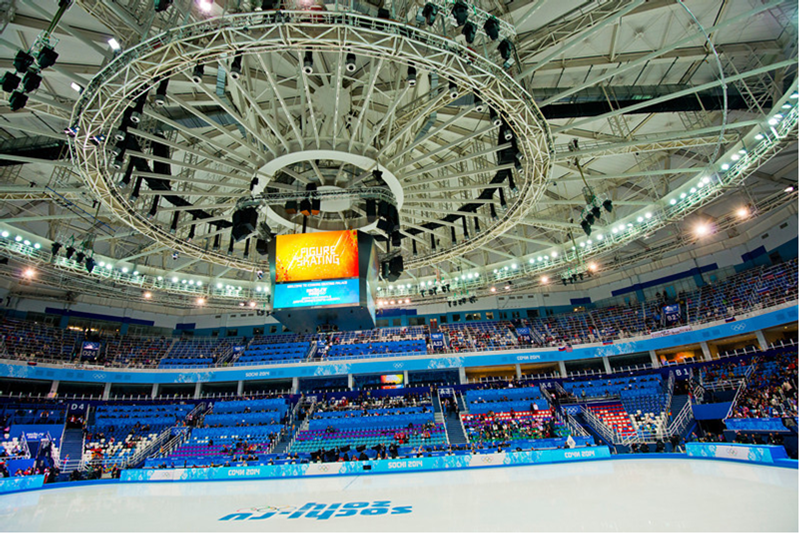 I’m not typically one to leave the television on for long periods of time, but when the Olympics are on, I don’t mind leaving the TV on for long stretches of time for “unlimited watching.” Even if we’re not in the room, we can pop back in to catch all the important moments. What would it feel like, to have all eyes of the the world upon you? What does it truly mean to be an Olympian? 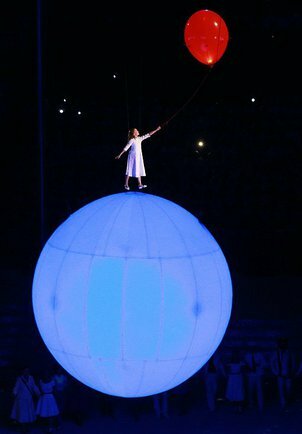 Family is also a central theme at the Olympics. Not only do you see the sheer joy on the faces of family members cheering for their loved ones, but through the athletes’ stories, you understand how families’ support and love provides a foundation for years of training and preparation. The dreams of athletes can only become reality if they are uplifted and shared by their families. 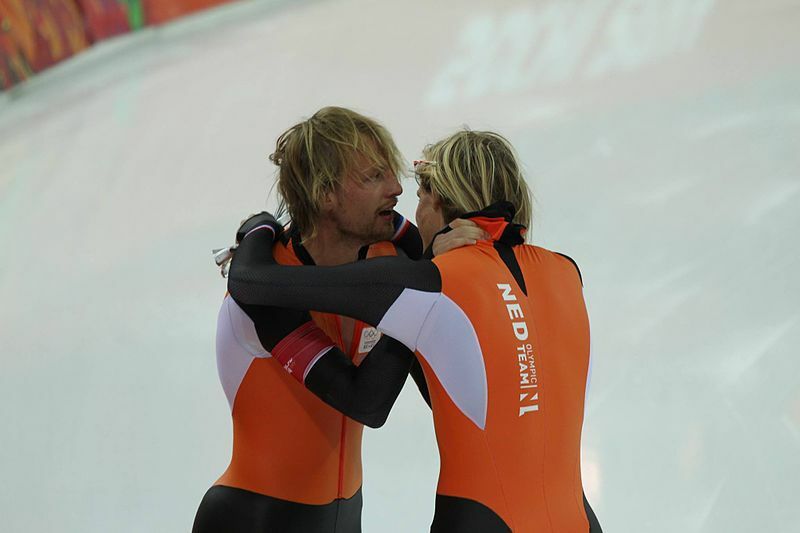 Talk about family ties… twin brothers Michel and Ronald Mulder celebrate their speed skating medals. Representing The Netherlands, Michel Mulder won Gold, Ronald Mulder won bronze. Photo Credit: Licensed under Creative Commons through Wikimedia Commons. Click here to see NBC News’ coverage of the brotherly bond shared by Canadian freestyle skiier Alex Bilodeau and his older brother Frederic, who has cerebral palsy. And click here to see a photo collection of American skier Julia Mancuso celebrating her bronze medal in the Super Combined with her mother and grandmother, also from NBC News. One of my family’s favorite Olympic celebrations involves cake! For as long as I can remember, since my children were very young, we have made a cake and decorated it with M&M’s to form the Olympic rings. This delicious dessert works for both Winter and Summer Olympics… but one word of warning: unless you have a big crowd to devour it, the colors on the M&M’s “bleed” into the frosting when it sits for more than a day, even if refrigerated. It takes some planning to form the rings so here are a few tips: lightly press a glass into your frosting to form the outlines for the 5 rings, a younger child can separate the colors of M&M’s into small bowls, and an older child can place the candies into the frosting. 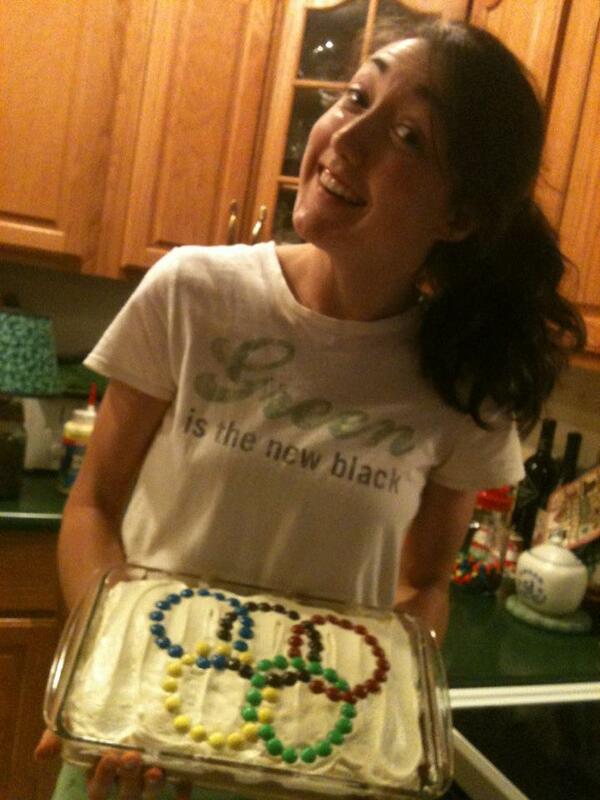 My daughter Katie celebrates the official cake of the Summer 2012 Olympics! Does your family have a special Olympic memory? Tradition? Feel free to share your ideas and comments below… and enjoy the games!